This months Repeater Talk article will focus on the migration from traditional repeater use towards the possibilities, benefits and implications of these new machines. Let’s start with a discussion on Tones. Initial (traditional) repeater operations evolved over time to include more and more features intended to allow the users and operators to set up machines closer to each other and more “private” or controlled access. This month’s Repeater Talk article will focus on our clubs repeater roll out status and plans. As you know the club is taking part in the rollout of the latest Yaesu System Fusion repeaters – first of all how about a bit of background on how they got to this point? 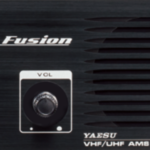 A new Yaesu System Fusion repeater was put in service on March 14, 2015. The DR-1X repeater is able to accept either traditional analog or digital C4FM signals. The current configuration is to output all signals in analog. The frequency for VHF FM is 146.670 using a PL of 131.8. This months Repeater Talk article will focus on the propagation of the Yaesu System Fusion technology though out our fine country and especially in the greater Tri-State area. However before jumping into that topic I wanted to let everyone know that as I prepare to write this article the first of the new DVRA Club DR-1X repeaters is making its way towards NJ!